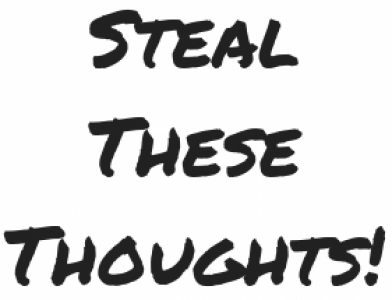 L&D teams need to practice what they preach – Steal These Thoughts! On occasions I have been surprised at just how few L&D professionals are investing in their own skills and experiences. As the people responsible for supporting others with their own growth and partnering with our business to develop people’s potential, surely we need to be constantly investing in ourselves to make sure we can do these tasks to the best of our abilities. Just like we ask our audience to embrace continuous learning and highlight the benefits in both a professional and personal sense for them in this, we too need to be agile, absorb new information through many forms and use this insight to be of the best service to all. For the last 3 years, I’ve continually seen the headline that L&D teams don’t know how to use data to measure the performance of their resources, systems, tools and the growth/development of their workforce. Every year I review research from organisations like Towards Maturity and every year I see the same thing – L&D is losing out on measuring real impact and performance because they don’t know how to use data. Ok, so we know what the problem is and that we would all like to have the ability to build a data driven framework with the mountains of data we have to measure performance and development of our people. Now people will say, oh we need a data analyst to do this because all these tools are so difficult to understand and use. I get that, however you don’t need to worry about these tools as you don’t actually need to use all of those super complicated solutions your sold at various events. What we want to learn is how to use data in terms of educating ourselves on the metrics that matter, what does x tells us about y, what’s the most effective way to measure a colleagues journey and of course much more. You can do a lot – find someone in your business who can teach you how to become a master of data, research on blogs, Youtube, take an online course and lots more. Basically, go out there and find the answers. We tell the people across our businesses to take command of their own development and find the resources that suit their style of learning and we should be doing this too. Another common topic of conversation I hear far too often is around L&D teams not getting the engagement they want from their audience. I’m sure a few of you reading this have encountered this very problem. You build a new, flashy and what you believe to be a best ever resource for your audience that you feel will deliver real impact in their day to day. This is great, but what generally happens next leads to many downfalls of these proclaimed great resources. Now from my experience, what I find is many L&D teams will fire out their new content onto either a bloated LMS that no one likes or can navigate, a corporate intranet site which is usually just as infuriating to find anything on or you leave it up to line managers/leadership to inform their teams. I can tell you now, if you’re using any of these methods, your audience are never going to connect with your content. You cannot expect people to organically find your amazing content and engage with it. You need a plan, a strategy even and this is where our friends in marketing can help us in this journey. For L&D teams to really understand how to connect with their audience and support people with the day to day challenges they face, we need to do an upskill on branding and communications. I’ve always felt marketing and learning have a lot of synergies, you can learn so much about the art of communication from colleagues in this area of a business. We want our audience to engage with the great content we have, so that they feel supported, empowered, develop their skill set and in turn can provide better performance for the business which helps with the bottom line. At the end of the day, our main objective in corporate L&D is to help people not only grow but deliver improved performance that will affect the bottom line each year. The big failing I see here, is that L&D teams believe they aren’t responsible for the marketing of their products or the engagement with them post launch, which is complete madness in my opinion. Do you want to spend weeks, months or maybe years building something, only to see it dumped in the trash after 6 weeks, the business deeming it a failure and then embarking on another programme of work to do the same thing all over again? No, I didn’t think so. I believe a number of teams can benefit from either making time to learn from those in marketing or build the relationship to collaborate with these teams so that they can buy in to what you’re doing and support. Acquiring the skills of understanding who your audience are, how to connect with them and tell engaging stories are vital for any role within or outside of L&D. So once more, this brings me back to my main theme – practice what you preach. To create change and stop doing what you’ve always done, you need to do the things that you may not do now. We constantly tell people to embrace continuous learning, to learn in the flow of work and we need to do this too. Now more than ever, a large number of us work in fast paced agile environments where we need to move fast, create great content and keep up with the rest of the world. We tell the people around us all the time that they should be exploring all learning opportunities to expand their skill set, so isn’t it time more L&D teams do the same? A great Blog, Ross. I too think exactly the same way that one must practice what they preach. Along with that in today’s modern world researching your audience is the key to a successful business. Thank you for your kind words! I’m glad you agree.